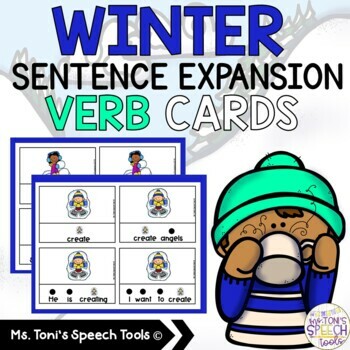 These WINTER Sentence Expansion VERB Cards focuses on naming actions while expanding from single words to phrases and sentences. These sheets include 52 flash cards with actions that are seen in the FALL such as (ice sculpting, building a snowman, ice fishing, etc.) 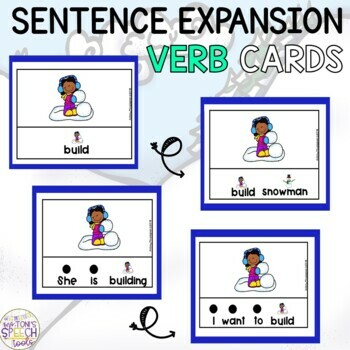 Expanding sentences is a great way to increase vocabulary and improve expressive language skills. 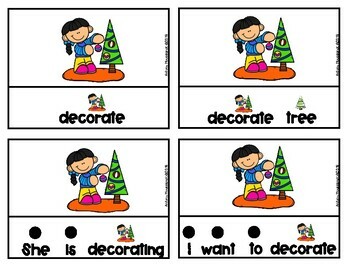 Picture cues are added to words as well. Just print, laminate and cut.